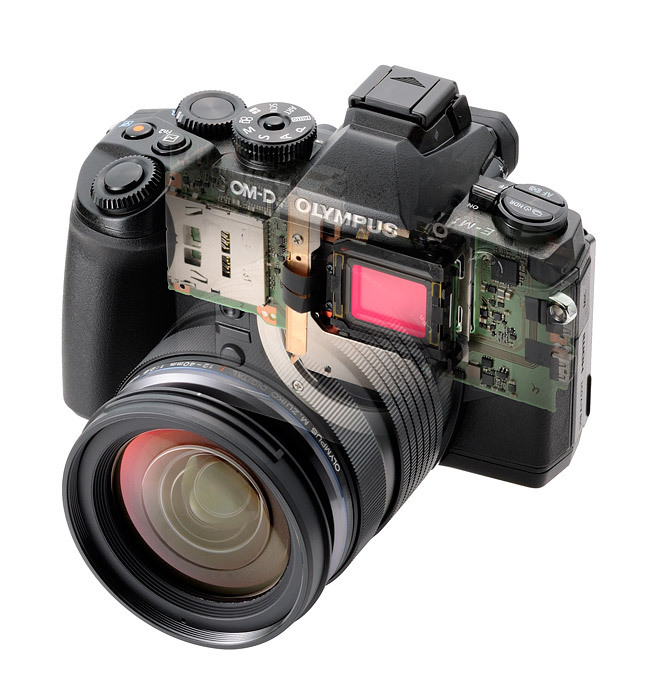 Tonight, Olympus announced their second OM-D Micro Four Thirds format interchangeable lens camera, the E-M1. 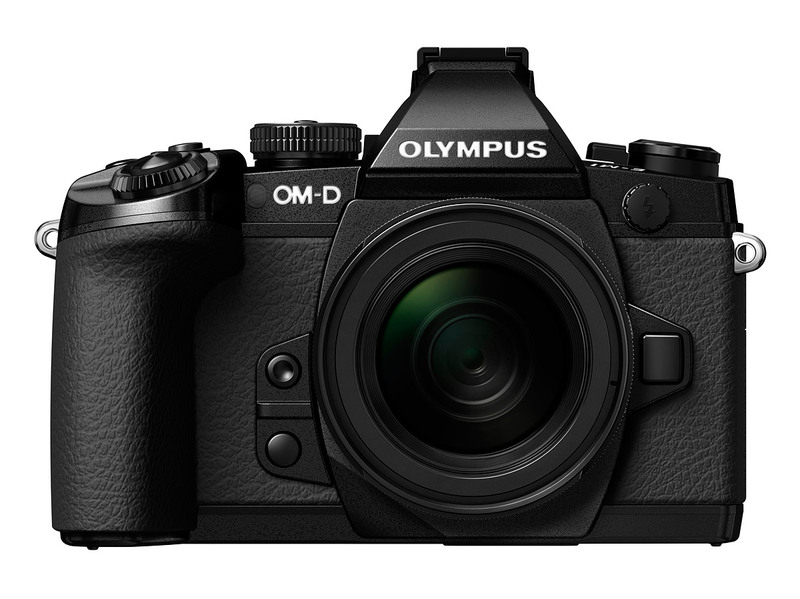 The OM-D E-M1 has a new 16.3-megapixel sensor, larger electronic viewfinder, hybrid auto focus, and built-in Wi-Fi. 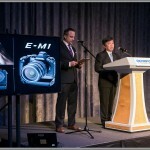 I was lucky enough to be invited to the official launch, which was held on the USS Intrepid, in New York City; so I got some hands-on time with the new camera – but more on that later. 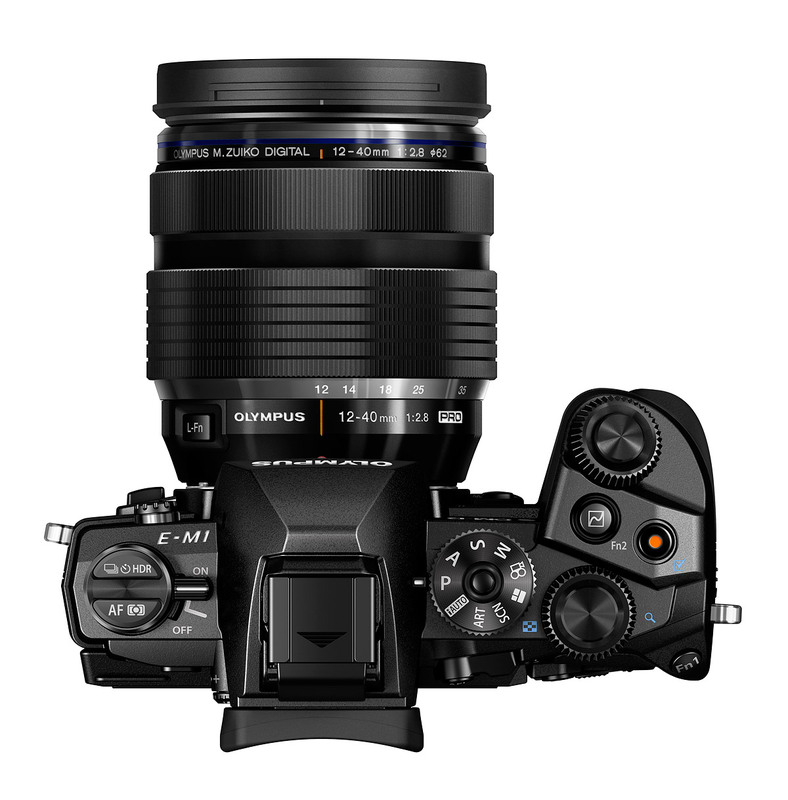 Along with the new E-M1, Olympus also introduced their first two professional Micro Four Thirds lenses – the Zuiko Digital ED 12-40mm f/2.8 Pro lens (24-80mm equivalent) and the Zuiko Digital ED 40-150mm f2.8 Pro (80-300mm equivalent). 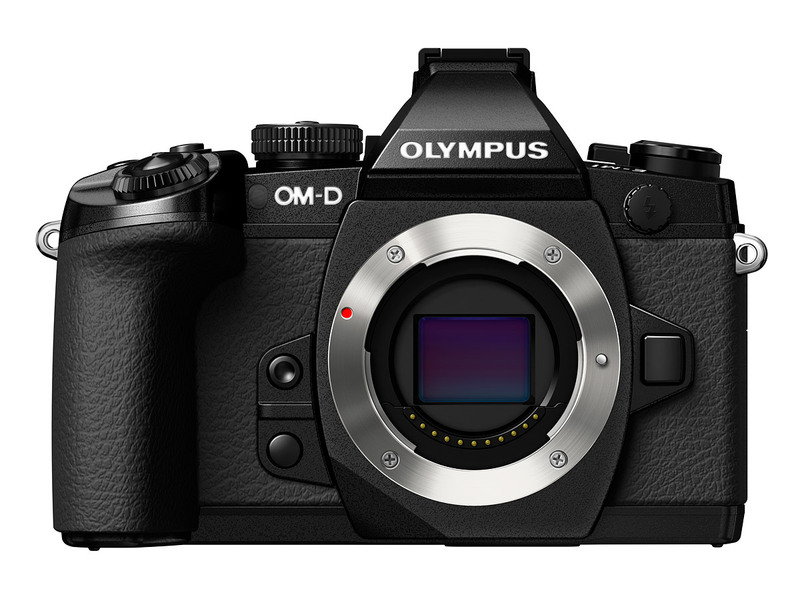 The important updates on the new OM-D E-M1 are the new 16.3-megapixel Four Thirds format Live MOS sensor with new Dual Fast AF with on-board phase detect auto focus that allows the camera to work better with Four Thirds DSLR lenses as well as native Micro Four Thirds format lenses. 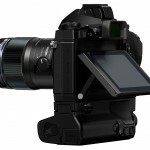 Besides improved DSLR lens compatibility, it’s also supposed to significantly improve continuous auto focus performance. 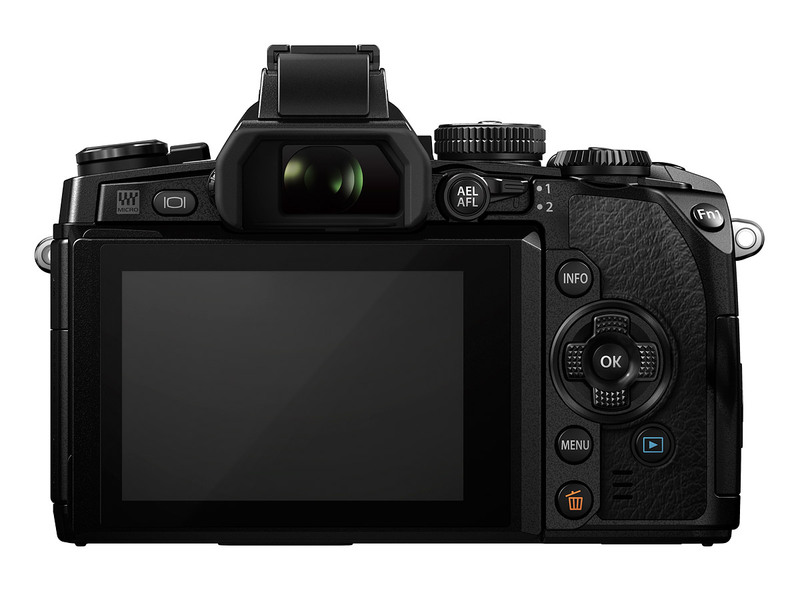 The E-M1 also has new TruePic VII image processing for improved image quality – especially at high ISO settings. 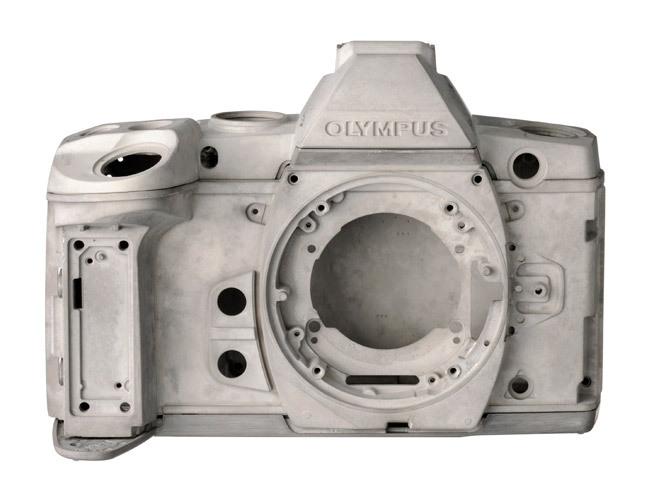 Olympus says they’ve also improved the built-in Five-Axis image stabilization so that it better compensates for camera shake at slow shutter speeds. 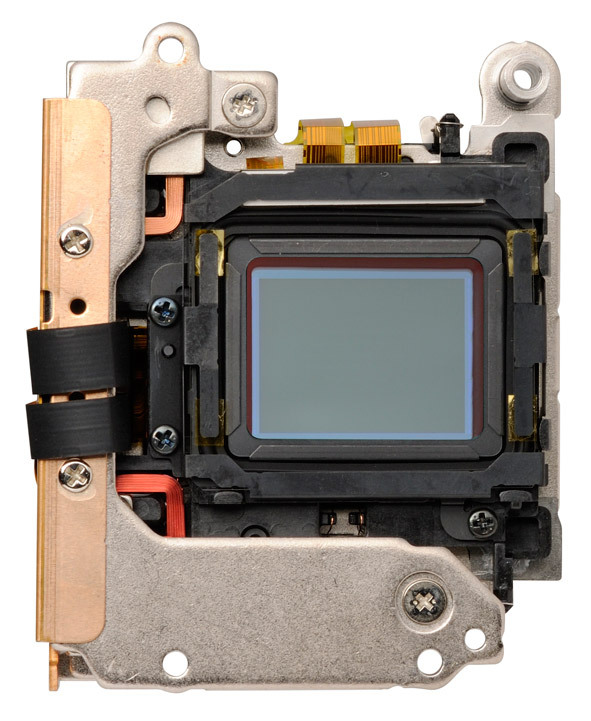 The electronic viewfinder (EVF) has also been upgraded. 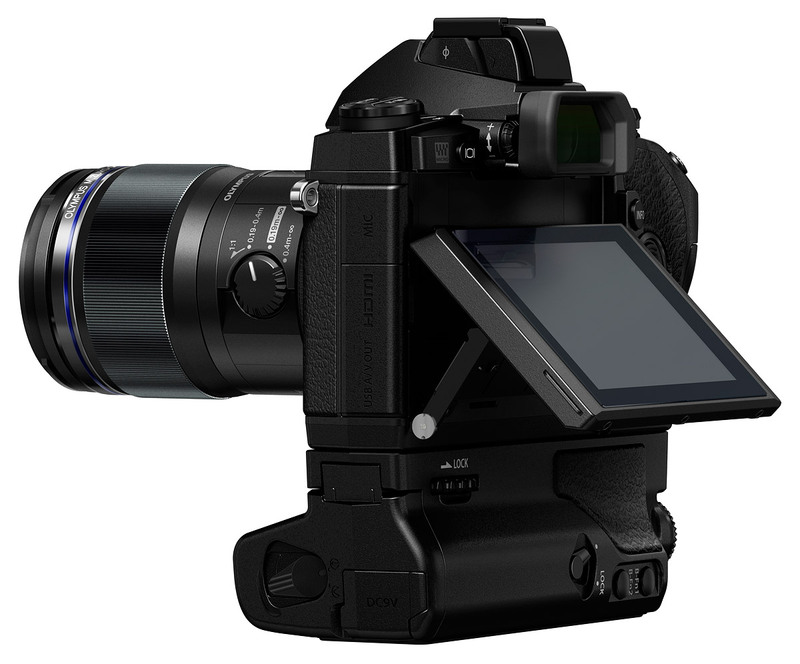 It’s now as big as a full-frame DSLR sensor, a huge bonus for such a small camera. 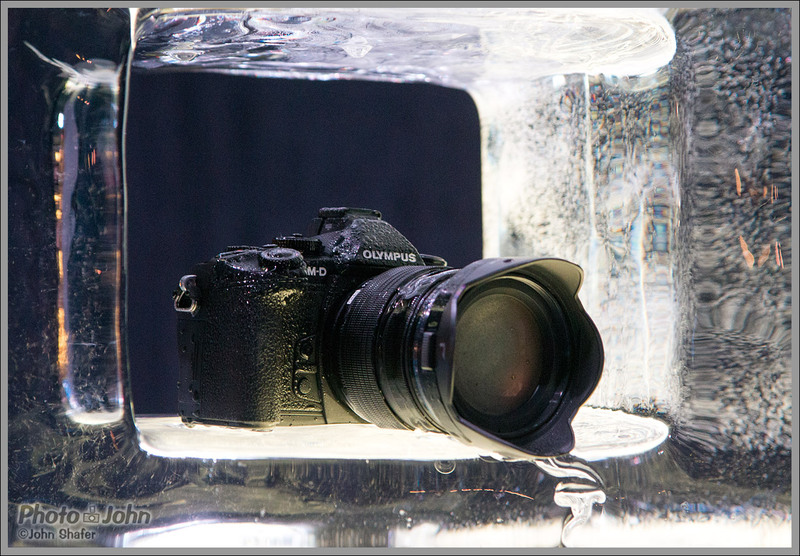 My first impressions of the OM-D E-M1 are very good. You don’t always actually get to take pictures with the cameras at a launch. 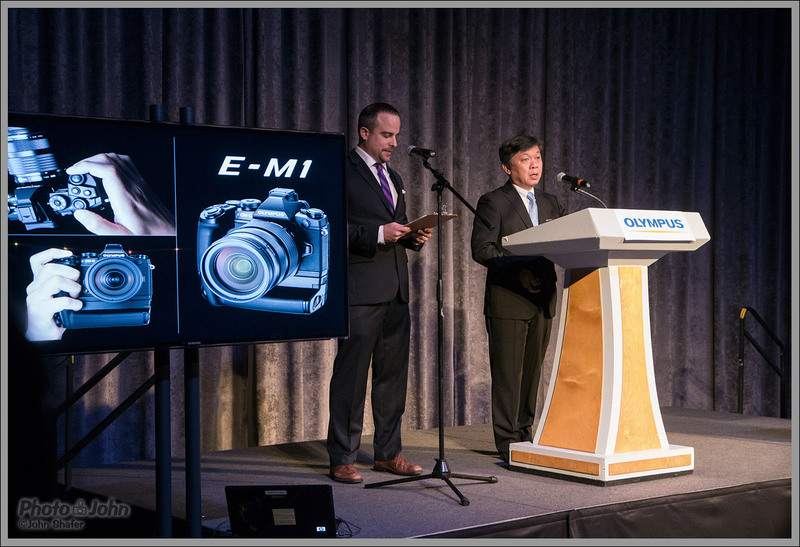 But Olympus demonstrated their confidence in the E-M1 by providing memory cards for everyone in attendance and encouraging us to use the cameras. 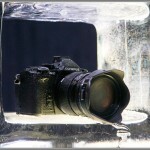 Of course, it’s hard to really get a feel for a camera in only a couple of hours. 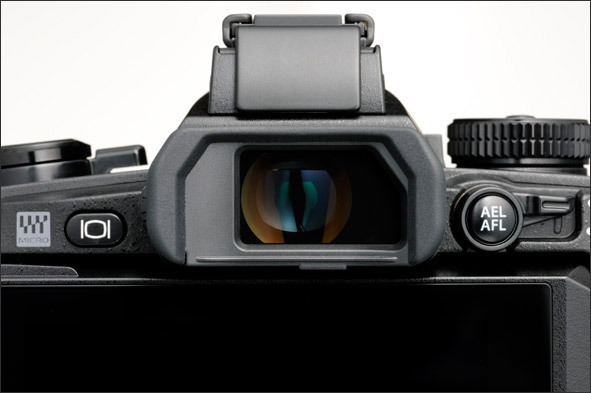 However, I was reminded how much I liked using the original E-M5. 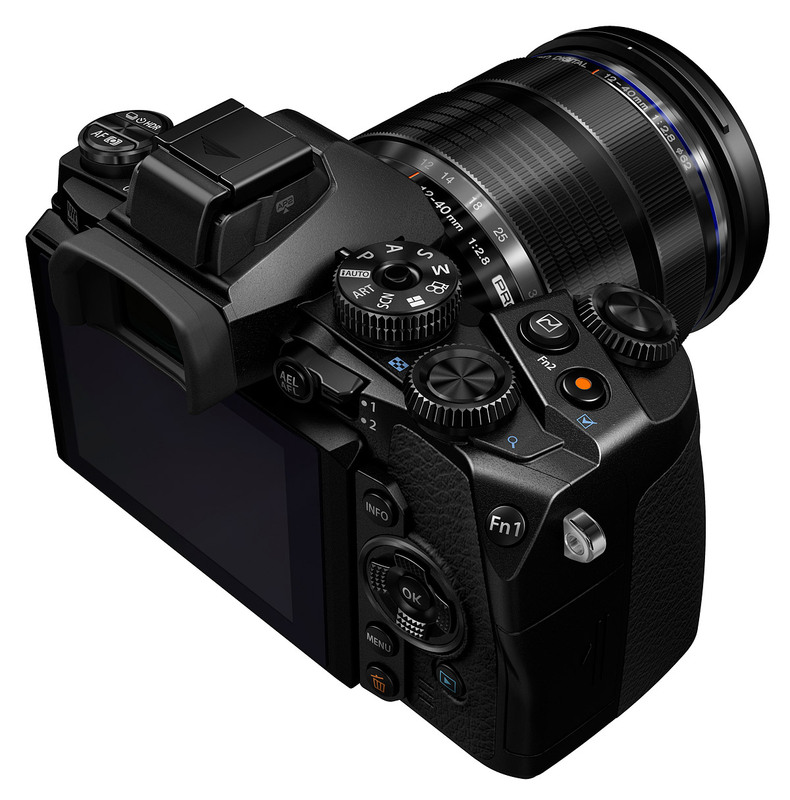 The 5-axis image stabilization is outstanding, making it possible to shoot at really slow shutter speeds in truly crappy light. 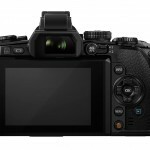 And the latest Four Thirds sensor produces image quality way better than it has any right to. 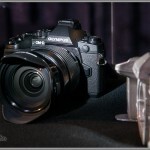 I brought along a current Canikon APS-C sensor DSLR to document the event and I swear my OM-D E-M1 photos look better. These are very early, initial impressions, though. 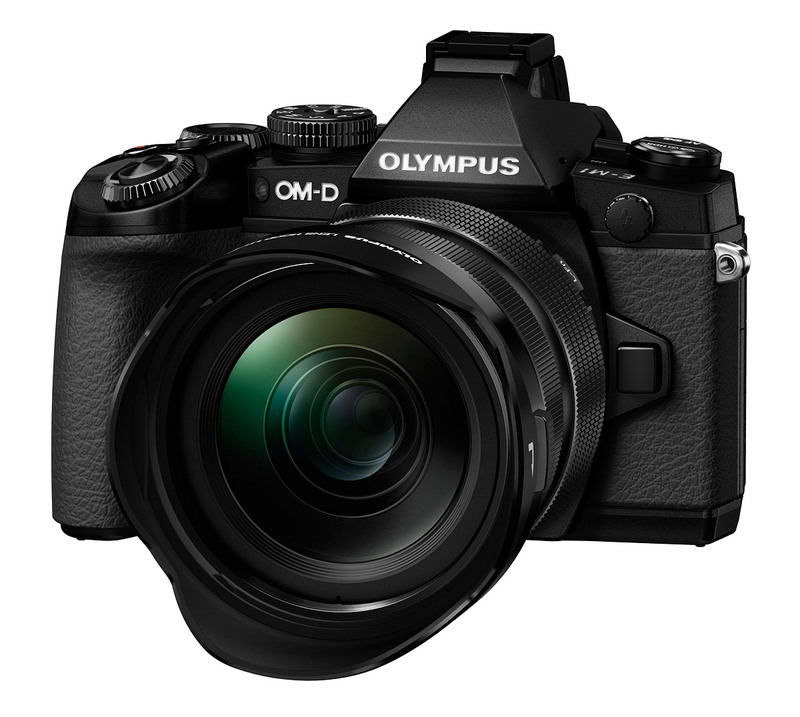 Before I can really pass judgment, I need to get the new OM-D back to the lab for studio tests, and then I need to really spend some time with it. 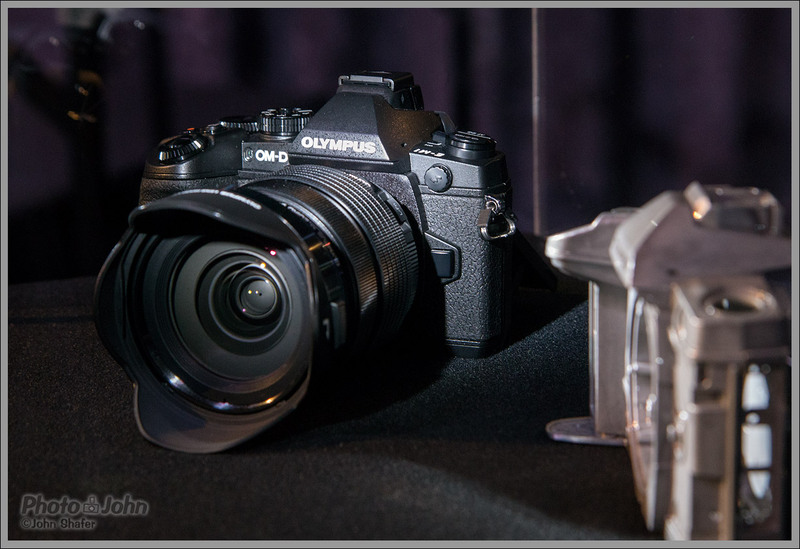 But it was nice to be reminded how good the Olympus OM-D platform is. 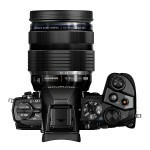 Besides looking forward to getting some more time with the new E-M1, I’m also excited about the new lenses. 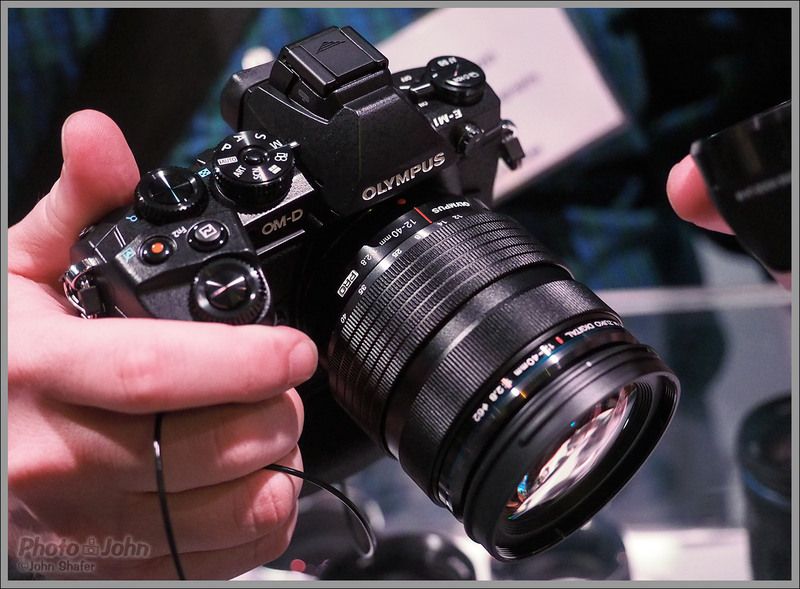 The Olympus Micro Four Thirds lenses have always been good. 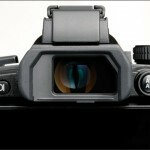 But I’ve been asking for a pro zoom since the original E-P1 Pen was introduced. 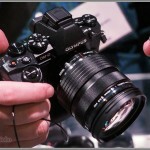 I’m happy to see Olympus finally producing some fast-aperture pro zooms. 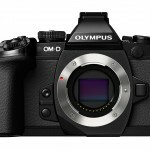 I think the new lenses will make a real difference for serious photographers and pros who may have been on the fence about the Olympus’s Micro Four Thirds OM-D and Pen mirrorless cameras. 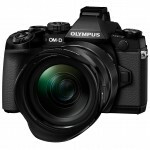 The Olympus OM-D E-M1 is scheduled to be available next month (October, 2013). Price for the E-M1 body alone will be US $1399.99. 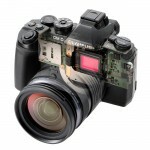 I expect it will also be sold in a kit with the new Zuiko Digital ED 12-40mm f/2.8 Pro zoom lens. 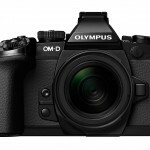 However, Olympus hasn’t provided any information about OM-D E-M1 kit options, yet. 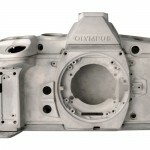 But why couldn’t they give it more battery capacity? 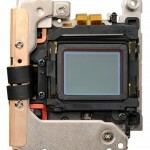 With all the other improvements I think that may be the only sticking point.